Listen to a special live recording of a conversation between President Trumka and our own Oregon AFL-CIO President Tom Chamberlain about the biggest issues facing workers today, and where our movement is headed. Thank you to all in attendance at the Oregon AFL-CIO events last week. The enthusiasm and the learning that took place will prove fundamental to the future of our state’s labor movement. As we continue to build power using the knowledge and resources we’ve gained, please continue to ask questions and stay engaged with the Oregon AFL-CIO throughout your organizing endeavors. April 2 was national Equal Pay Day. This day brings awareness to the pay gap that exists between men and women in the workforce. “…Women had to work until April 2 – 92 days longer – to be paid the same amount as comparable to men in 2018” (TheHill.com). 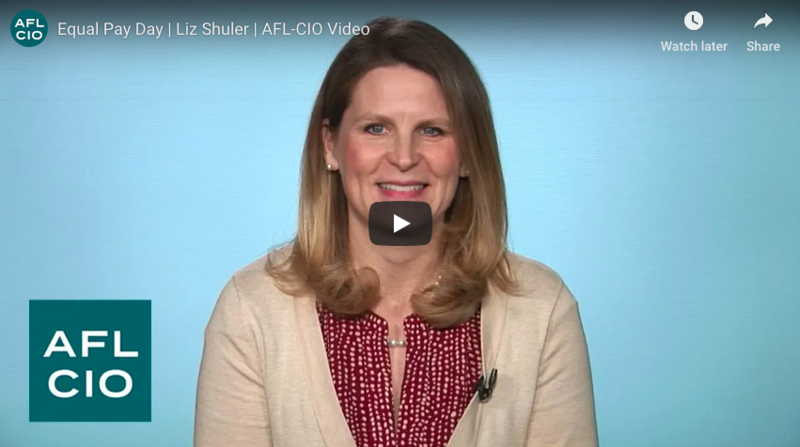 AFL-CIO Secretary Treasurer and Native Oregonian Liz Schuler highlights how this pay gay is even greater for women of color, the LGBTQ community, and other women at the intersections of multiple marginalized identities. Even though many Americans don’t believe the gender pay gay is real (Time.com), the pay gap is actually worse than most people think. Studies typically neglect the fact that women are “more likely to drop out of full-time work to take care of children or other family members” (Vox.com). What can we do to support equal pay in the workplace? Advocating locally and nationally by contacting your representatives and telling them how policy changes can address inequities is a great start, but the best way is to unionize! Unions have been proven to be the most effective way to address the gender pay gap, narrowing it to as little as 6% (TheHill.com). 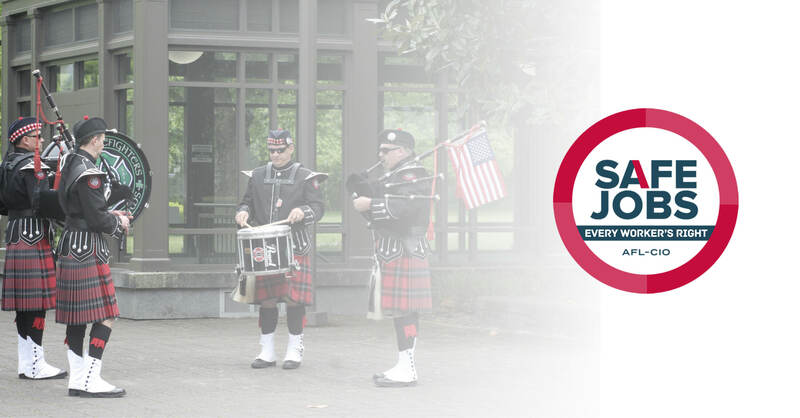 Worker Memorial Day - The Oregon AFL-CIO will hold the annual memorial service in observance of Workers Memorial Day at the Fallen Worker Memorial on the State Capitol Mall in Salem on Friday, April 26th at noon. Portland Pride Parade - June 16. The Oregon AFL-CIO and affiliates will be marching in the parade in solidarity with the LGBTQ community. If you are interestsed in marching or being involved in planning, please contact Emily@oraflcio.org.